If sound quality is something that really matters to you and you only want the very best from your smartphone, the XB10 is an incredibly worthwhile upgrade. Not only does it amplify your tunes, but it makes them sound so much better while doing so. A DAC - that's digital-to-analogue converter for the uninitiated - is found in every electronic device with a speaker. Phones, laptops, wireless speakers - every device that needs to take a digital signal and turn it into an analogue one (i.e. soundwaves) for your listening pleasure. But the DACs found in such products are typically of a limited quality, hence some consumer demand for higher quality, better sound to go with their higher-grade files. The Astell & Kern XB10 external Bluetooth DAC is capable of transmitting up to 24-bit/48kHz audio via Bluetooth aptX HD, which is ideal for that audience. You'll need a device capable of handling this quality to benefit this quality level, however - and there aren't loads of phones, for example, that can just yet; the LG G6 is one recent example - but the XB10 also functions as a headphone amp, delivering added pomp to tunes whatever the source. However, at £150, would spending the cash on a better pair of headphones ultimately be the better option for many? The XB10 looks similar to a Google Chromecast streaming dongle. It's a simple design: round and black. Plug your output device into the XB10 and it'll hand over the controls. There are four controls buttons on the front: play, pause, volume up and volume down; plus track skip and rewind buttons on the left side. There's a Bluetooth pairing button (when you switch on the XB10 for the first time it will automatically go on the hunt for a Bluetooth device to pair with), and a power button which can also be used to lock the device so you don't accidentally press any buttons and interrupt your music. On the bottom you'll find a 3.5mm unbalanced headphone output alongside a 2.5mm balanced output, should you have a compatible pair of headphones for the latter. A balanced output is said to deliver better sound than an unbalanced out because it adds a reverse phase signal (left and right channels) to help eliminate any unwanted noise. The XB10 also comes supplied with a clip for you to fit to the back which allows you attach it to your clothes - handy if you want to go for a run, but just as useful for walking around town without the need to get your phone out of pocket with a headphones wire dangling out of it. However, priced at £150 we would have liked the XB10 to feel a little more premium. It's incredibly light and the buttons have a slight flimsy feel to them. You'll also want to make sure you don't have greasy fingers when you use it, as it's a bit of a fingerprint and dust magnet. 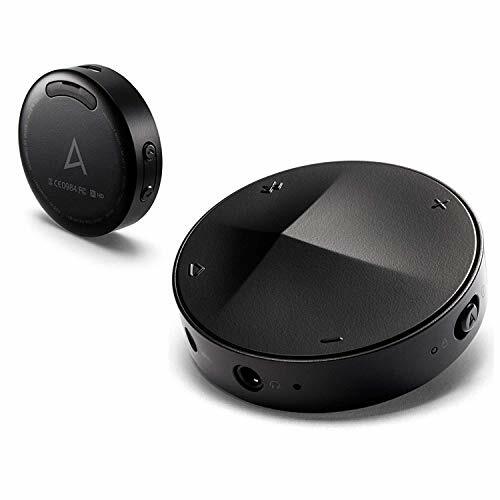 While Astell & Kern envisages most buyers will use it to stream music from a phone or tablet to some headphones, you can also plug it into an amplifier or even to an auxiliary input in your car for Bluetooth streaming. It can even handle hands-free calling, no matter where you use it, just as long as you have a phone connected of course. The first thing you'll notice when you listen to music through the XB10 is just how much louder it is than your phone. It's called an amp for a reason. When it comes to hi-res, however, a word of warning: as you can't connect the XB10 to phone via USB it won't override the native device's DAC. You'll need a device capable of 24-bit/192kHz and tracks of said quality for those benefits, which will only be a handful of devices. That said, even using an iPhone without hi-res audio we immediately noticed just how much cleaner and clearer our music sounded. Flicking between the XB10 and our iPhone, we were amazed at just how much more enjoyable and engaging our tracks could sound. They sounded dull in comparison when our headphones were just plugged into our iPhone. The XB10 adds more impact and depth overall. Dynamically it's very impressive, with any subtle changes in volume handled with expertise. Throw different genres at it and it'll swallow them up and spit them back out with rhythm and emotion. And don't forget that the XB10 also needs its own charger. The XB10's built-in battery lasts for between three and five hours. So if you plan on using it for extended periods make sure you have a phone charger to hand to plug into its Micro-USB, as you'll be running low on juice before you know it once you're lost in the music. The Astell & Kern XB10 adds volume and dynamism to your music. It can't make non-hi-res devices hi-res, though, so that's something to keep in mind. For us we loved the convenience of being able to stream our songs wirelessly when out and about, which works just fine from a clipped-on pocket position. While your headphones may still be plugged into a physical device, it frees up your phone, so you don't have to worry about being tethered. However, £150 is a lot to spend for a headphone amp and DAC - especially one of limited build quality - when a simple headphones upgrade might be money better spent for many. For those high-quality heads in the know, however, this wireless release will be their perfect match.